I decided to do a little DIY on my kitchen! My husband came home last week to a surprisingly black kitchen! I saw a chalkboard fridge on Pinterest and I thought that was an awesome idea to try, We need to get a new fridge anyways so I figured why not do something fun for the time being! Then the idea spread over to the cabinets... 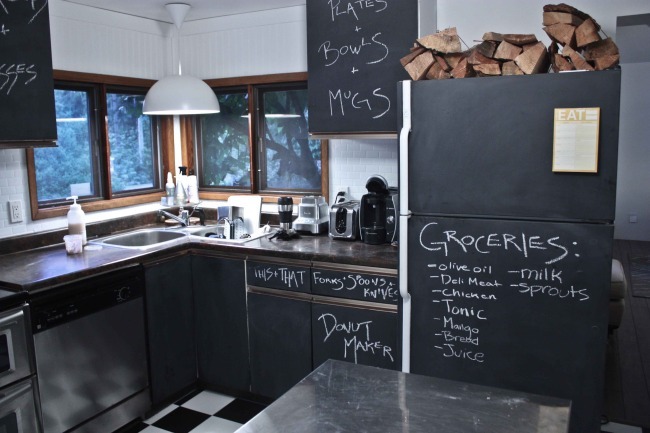 The old cabinets were an old cream colour, and just kind of "Blah" so why not chalkboard! The process is rather straight forward, start by priming the surface. I used a primer for tile because the cabinets and fridge had a glossy finish. Once dried the amount recommended on the can, move on to the paint! I did 2 coats becuase it was definitely still see thorugh after 1! Paint dries in about 1 hour. But must sit for 3 days before you can start to chalk it up! After the 3 days, First take a piece a chalk and coat the entire surface. 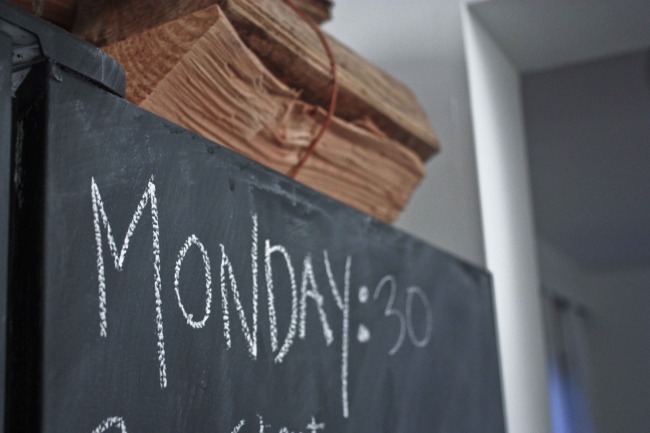 (The layer of powder helps the chalk erase better when you start writing!) Then erase it all and start getting creative!